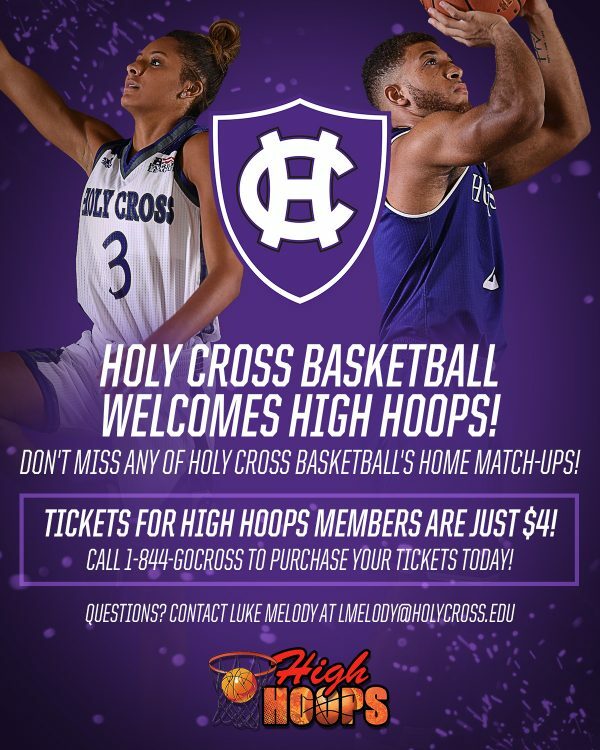 It is with great pleasure that High Hoops LLC announces a partnership with the Holy Cross men’s and women’s basketball teams. Holy Cross is a Division 1 basketball program that recently joined High Hoops LLC in a local partnership to support one of the fastest growing youth basketball programs in Central Mass. and the Blackstone Valley area. 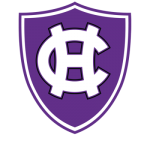 Holy Cross is an outstanding Basketball program that has had great success over the years qualifying for the NCAA Tournament. The Crusaders play their home games on their Worcester campus at the Hart Recreational Center. High Hoops currently has over 700 total players in its programs and focuses on teaching kids the fundamentals of the game of basketball for all age levels ranging from preschool to high school. This partnership allows for coaches, players and their parents and anyone else associated with High Hoops LLC the opportunity to purchase discounted game tickets to any of Holy Cross home basketball games. You will also see High Hoops represented at some of the home games as well as see some of the current players from both the men’s and women’s teams represented at the upcoming winter session of High Hoops.